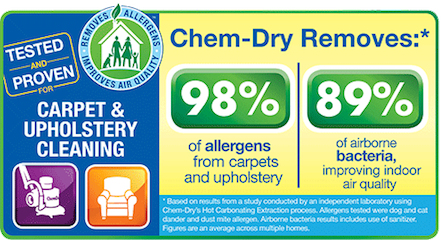 Chem Dry of Southern Indiana is proud to serve our clients in Evansville, Newburgh, Mt Vernon and surrounding areas. We offer safe, effective and environmentally-friendly cleaning solutions for your entire home or office. Remember, our professionally-trained technicians are equipped with industry-leading equipment and proprietary hot carbonating extraction solutions to provide you a deeper, longer lasting clean for a healthier home or business environment. 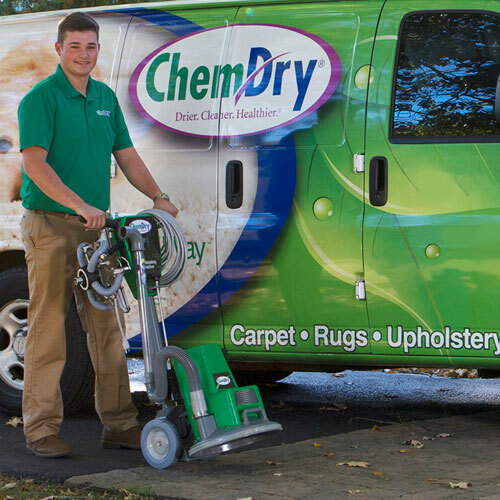 From Carpet cleaning and Upholstery cleaning ,Oriental Rug cleaning to Tile, Stone, Grout and Granite floors, counter tops, and showers Chem-Dry of Southern Indiana offers the best cleaning option for you. Chem Dry of Southern Indiana even offers pet urine and odor removal treatment for all of your pet accidents. Call today for a free quote at 812-477-1518.